In 1543, some Portuguese arrived on the shore of Tanegashima island - an incident that heralded the rise of modern culture in Japan. It is here that European firearms were first introduced to Japan. Oda Nobunaga (1534-1582: Fig. 1 below) seized the opportunity to incorporate this new weapon into his strategies for unifying the country. Nobunaga lived in the time when the Christian faith and European culture, brought by Jesuit missionaries to Japan, met the fascination of the nation. Nobunaga did not quite accomplish the unification of Japan as he fell victim of a coup d’état that took place in the Honnoji temple in 1582. It was a little earlier in February of the same year that three Christian daimyōs in the Kyushu region dispatched four young Japanese to Europe, hoping to make a papal audience in Rome. The four boys witnessed the latter days of the Renaissance in Europe, and eight years later they returned to Japan, where the anti-Christian policy was enforced in full swing. However, the knowledge they brought back from Europe had an immense impact on Japanese culture thereafter. Oda Nobunaga was born in 1534 in the domain of Owari (present-day Aichi prefecture). As a young man, he stood out from the crowd and was known for his bizarre behavior, gaining a reputation as The Big Fool of Owari. In 1560, he joined the Battle of Okehazama and won the battle against Imagawa Yoshimoto. After the victory, he was on a fast track toward ruling the country and no one could stop him. In 1568, he took his seat in the imperial Kyoto. 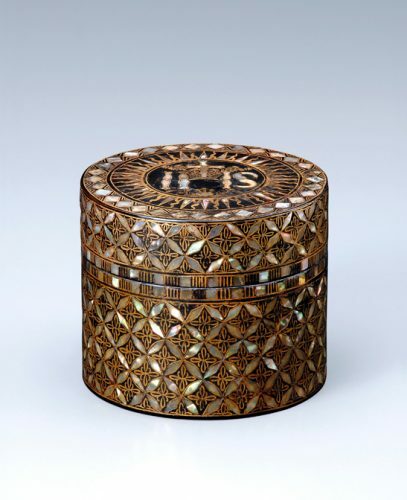 Immediately, some influential figures paid homage to him, notably a warlord Matsunaga Hisahide (1508-1577) and Sakai-based prosperous merchant Imai Sōkyū (1520-1593), who presented Tsukumo Kami Nasu tea canister (Fig. 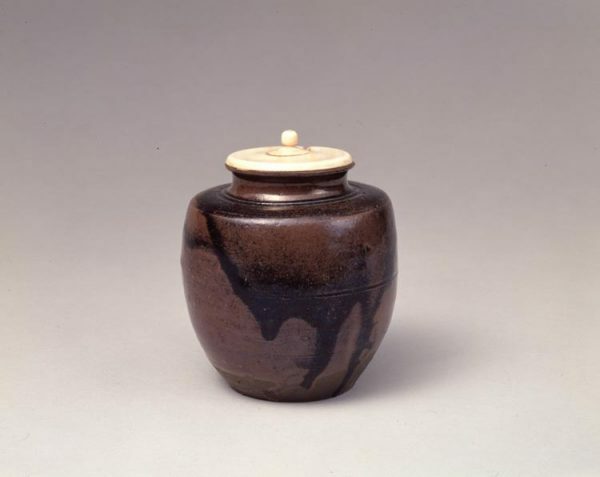 3) and a tea leaf jar Matsushima. 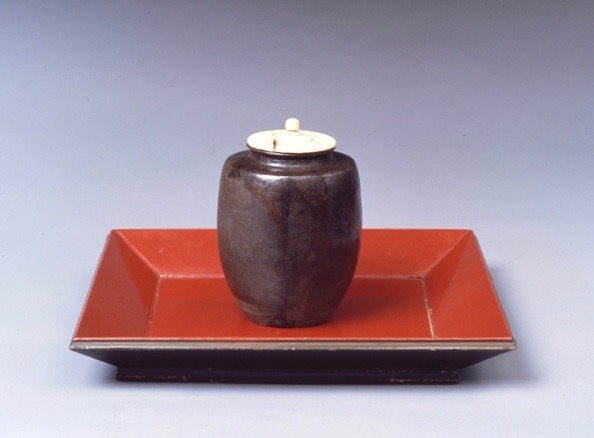 Nobunaga issued a decree in 1569 that all tea utensils of excellence found in the region to be brought to his acquisition, especially those of Chinese origin. 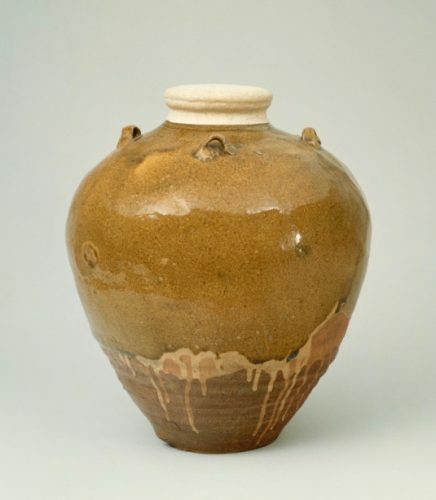 Some outstanding pieces of the collection from this period are included in the exhibition: tea canisters Hatsuhana (Fig. 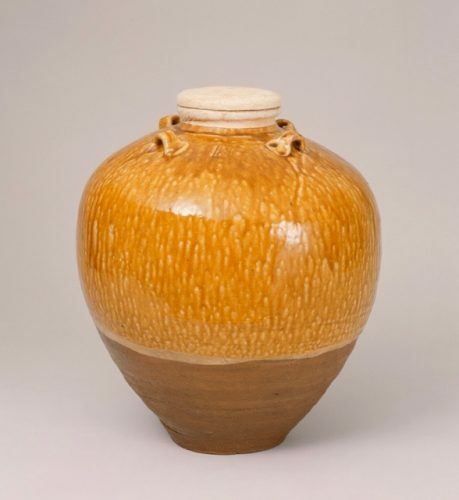 2) and Nitta Katatsuki, tea leaf jars Shoka (Fig. 4) and Kinka (Fig. 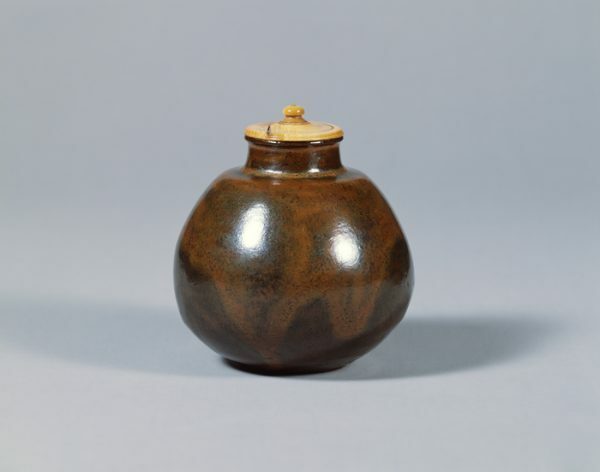 5), tea canister Seitaka Katatsuki (Fig. 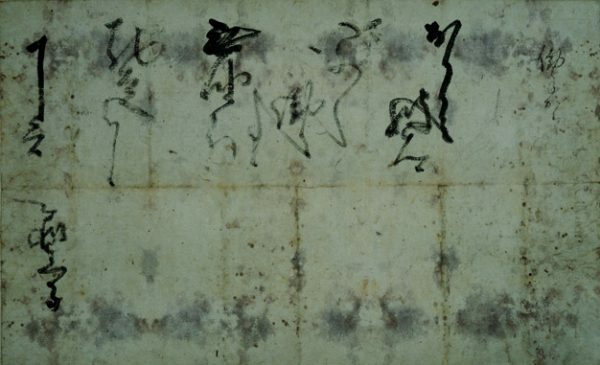 6) and some paintings by Muqi Fachang such as “Returning Sails off a Distant Shore” (Fig. 7) and “Myna Bird” (Fig. 8). Nobunaga decided to build his castle in Azuchi in 1576, which, according to his chronicle Shinchō Kōki, had a main keep of five stories above ground, with two extra levels buried inside the foundational mound. Main rooms were decorated with lavish mural paintings by Kano Eitoku and pillars were all in black lacquer finish. The top floor of the structure was painted with motifs of legendary Chinese emperors and sages while the lower floors were decorated with more religious and mythological themes, such as the teachings of Shakyamuni, the Queen Mother of the West, the three teachings of Confucianism, Taoism and Buddhism. 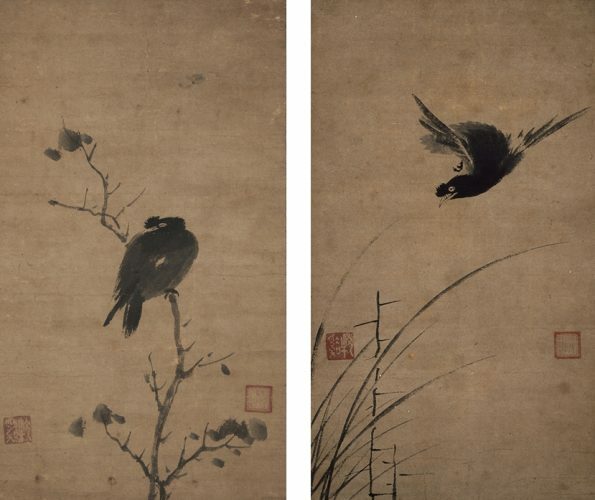 While Azuchi castle’s mural paintings by Kano Eitoku no longer exist, the opulence of such paintings may be exemplified by his folding screens depicting flowers and birds (Fig. 9) and celebrated places near the Capital (Fig. 10). 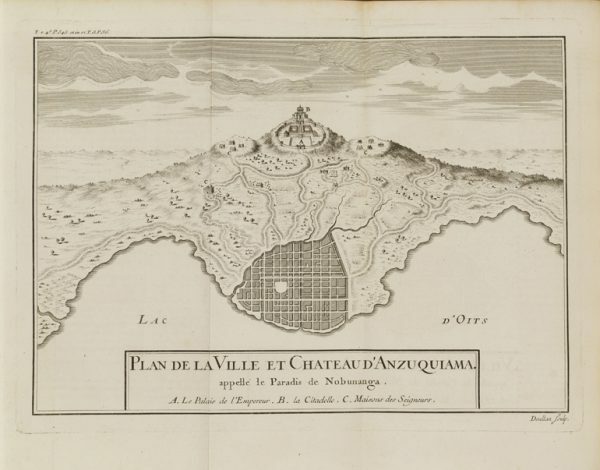 The History of Japan by Charlevoix, a French Jesuit who visited Japan during this period, contains a drawing of the Azuchi castle (Fig. 11). China, Southern Song to Yuan dynasty, 13th-14th c.
China, Southern Song dynasty, 13th c.
Momoyama Period, 16 th c.
A Jesuit Francis Xavier (1506-1552: Fig. 12) arrived in Kagoshima in 1549 as a first Christian missionary to Japan. It was 30 years later that the evangelical work gained impetus when Alessandro Valignano (1539-1606) arrived in 1579 and reformed the mission in Japan. 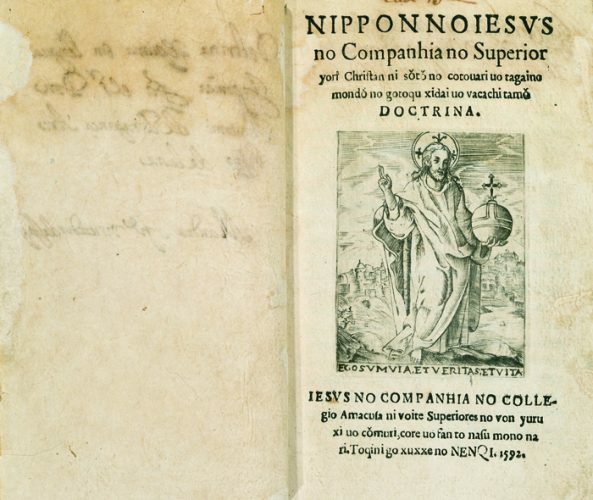 According to his Sumario de las cosas de Japon (1583), there were about 200 churches and 150,000 Christians in the country. It was Valignano who organized an embassy to the Pope, sending young Mancio Ito (Fig. 13) as an official representative of a Christian-converted daimyō Ōtomo Sōrin, accompanied by Miguel Chijiwa, Julião Nakaura and Martinho Hara, who represented the Arima and Ōmura clans. They set out on the eight-year journey, aiming to inform the European society of the missionary progress in Japan and to obtain financial support. After their departure from Nagasaki on February 20, 1582, the embassy made stops at Macau, Malacca and Goa before finally arriving in Lisbon in August 1584. The ambassadors were greeted with exceptional welcome by European Christendom, including King Philip II of Spain, who received them at his palace in Madrid as he would receive European nobles. The embassy reached Rome in March 1985 and met with Pope Gregory XIII (1502-1585). His successor Pope Sixtus V (1521-1590) made Mancio an honorary citizen of Rome. 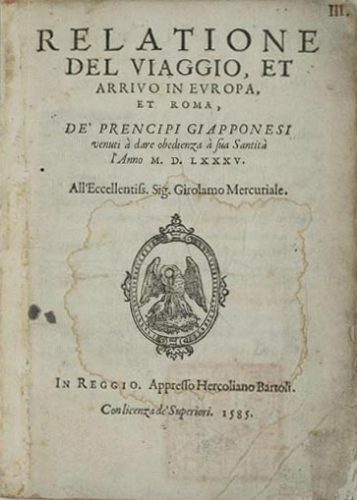 The embassy left Rome in May, and as they made a tour through Assisi, Loreto, Bologna, Ferrara and other towns in Italy, the news about this expedition from the Orient stirred enthusiastic curiosity of the Europeans, evident in the fact that, in 1585 alone, 48 publications were made about them (Fig. 14). On their journey back to Japan, the party again stopped at Macau, arriving in 1588. In Japan, however, Christianity was banned by Toyotomi Hideyoshi, and in 1590 the party was only allowed to return as an ambassadorial expedition to India. The following year, the four noblemen had an audience with Hideyoshi, the ruler of the time. It is said that Hideyoshi had them play European musical instruments such as the harpsichord and the viola in front of him. Thereafter, Mancio Ito continued to live as a Jesuit until he died of illness in 1612, while Miguel left the Society of Jesus and vanished. 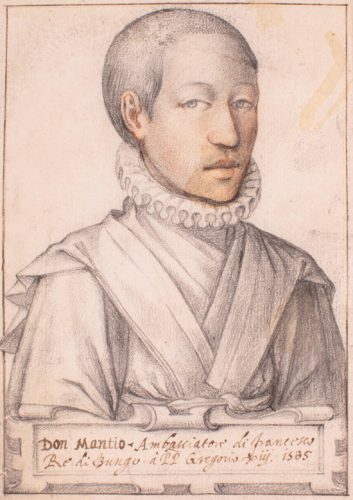 Martinho Hara was banished from Japan in 1614 and stayed active in Macau until his death in 1629. Julião Nakaura also continued preaching, but he was caught by the Tokugawa shogunate and died a martyr by torture in 1633. The most notable contribution of the Tensho Embassy to Japanese culture was the introduction of European printing technology. 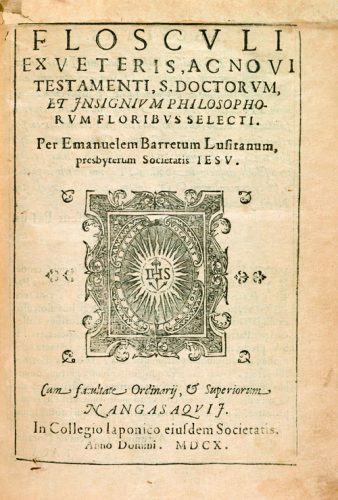 Various literature was printed after 1590, including Doctrina Christiana (Fig. 15), Floscvli (Fig. 16) and Fides No Doxi. These publications soon became known as “Kirishitan-ban,” or the Jesuit Mission Press in Japan. The literature, drawings and maps brought back to Japan by the embassy were copied and reproduced in numerous numbers. As the number of converts increased, demand for such literature grew. In the 1560s, production of Japanese original literature began. The Society of Jesus encouraged the establishment of collegiate institutions, and in Japan Valignano pursued this task. He inaugurated seminarios, collegios and novitiates. 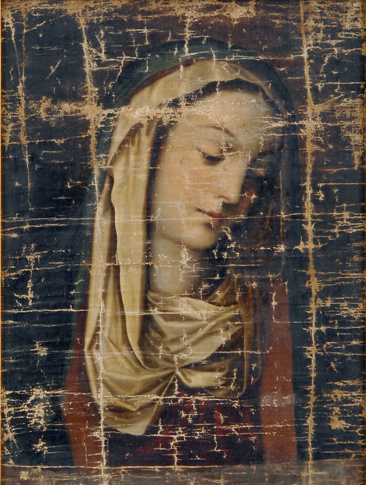 For example, pupils at the seminarios learned theology and Latin as well as music, art, printing techniques and western painting methods such as charcoal drawing and engraving. In Japan, the drawings and prints produced thus in this era are known as early Western-style paintings. Scenes of European Ways of Life (Fig. 17) is one of the best-known examples of this genre, taking motifs from the portraits and documents brought back by the Tensho Embassy. Most of Christian paintings were destroyed during the religious oppression under the reign of Tokugawa shogunate, but a few have survived to this day. 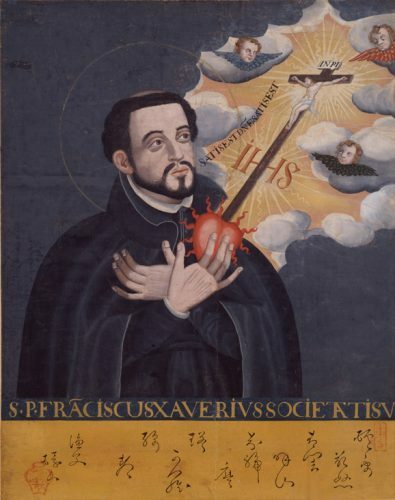 For example, a portrait of Francis Xavier (Fig. 12) was found in the Takatsuki area, which used to be part of the domain of Christian daimyō Takayama Ukon, and the Virgin Mary (Fig. 18) was kept at the residence of appointed physician of the Fukui domain. Another notable area of Nanban art was a series of folding screens known as “Nanban byobu.” It is believed that the trend started as Toyotomi Hideyoshi sent several artists of the Kano school to Nagasaki in order to decorate the fortress he had constructed there in 1592 as a base for his military expedition to Korea, and these artists made drawings of the foreign ships during their stay. 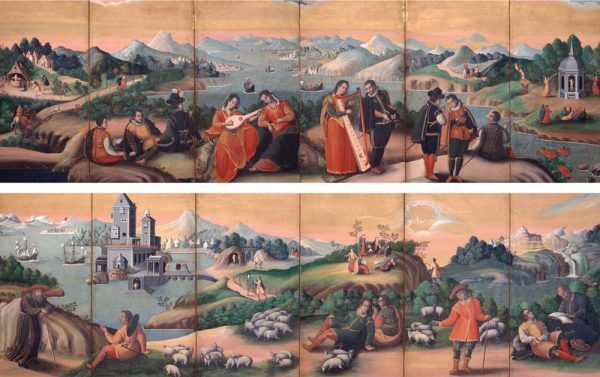 These screens were produced in great numbers between 1593 and 1630, and approximately 100 items are still surviving to this day, including Arrival of the Southern Barbarians (Fig. 19). 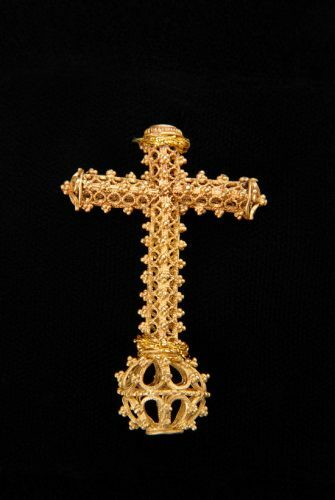 Sacramental bread and ecclesiastical ornaments such as Hostia containers, rosaries and medals were produced in Japan as well. Hostia Container decorated with Raden and IHS Emblem (Fig. 20) was recovered in Hagi city, Yamaguchi prefecture while the Golden Cross (Fig. 21), excavated from the ruin of the Hara castle, is believed to be from Europe, and the Tensho Embassy had brought to Japan as a conferment of the Pope to Arima Harunobu. Assimilation to European culture became fashionable to an extent. In Kyoto, non-Christian people would roam in the street wearing wooden rosaries and a cross, reciting prayers in Latin for amusement. The folding screens Shimizudera Temple (Fig. 22) depict young samurais sporting this Nanban fashion, enjoying themselves under the cherry trees on the temple ground. End of the 16th-Early 17th c.
Edo period, 17 th c.
Momoyama period, Second half of the 16th-Early 17th c.